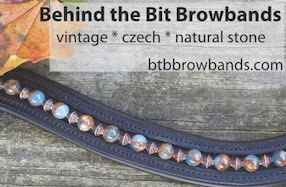 Behind the Bit: Horze Venice Bridle -- Giveaway! Horze Venice Bridle -- Giveaway! Here is the Horze Venice bridle, in black, that I'm giving away (Horse Size). It's a $79 value. The leather is soft, the white stitching is distinctive and attractive, and REINS ARE INCLUDED! The beautiful Venice Snaffle Bridle with stitching on the crown, browband and noseband goes the old saying, less is more. The white stitching defines the leather edges for a sophisticated look. This features a flash attachment and softly padded pull-back noseband for an extremely comfortable fit. Beautiful silver stainless steel fittings pop against the supple leather. Included are the leather reins with stoppers. Really nice bridle! Greets, Millwall Carpet Cleaners Ltd.